Southern-California-based Foods 2.0 takes aim at the food giants at the 4th annual Sugar Reduction Summit on November 9th in London. Foods 2.0 takes aim at food giants at the 4th annual Sugar Reduction Summit in London on November 9th. “... even ready to eat meals often contain high levels of added sugar, which is why it's so important that we take on big food manufacturers to truly make a difference. Earlier this year, the public health body of England (PHE) set aggressive, concrete targets for sugar reduction in nine major food groups, including breakfast cereals, confectionary and baked goods. The new guidelines from PHE for sugar reduction and reformulation in foods were its most ambitious yet, challenging manufacturers to reduce the amount of sugar in their products by 5% by August 2017 and 20% by 2020 (1). “The UK has one of the most innovative food sectors in the world and it’s in everyone’s best interests to ensure it remains a dynamic and thriving sector of our economy. The scale of our ambition to reduce sugar is unrivalled anywhere in the world, which means the UK food industry has a unique opportunity to innovate and show the rest of the world how it can be done. I believe reducing sugar in the nation’s diet will be good for health and ultimately good for UK food business.” Duncan Selbie, PHE chief executive is quoted in UK Food Industry Gets 20% Sugar Reduction Guidelines on foodingredientsfirst.com. Foods 2.0 has long been passionate about making more healthy, natural, low sugar products. In less than 2 years, their flagship products, Sugar 2.0 and Sugar 2.0 + Probiotics have launched in nearly all 50 US states, including Giant Food Stores, Albertsons and Walmart. Nguyen is a father of four himself and reducing his children’s intake was one of the major motivators for him in creating Sugar 2.0. He wanted his children to be able to enjoy sweet treats without having to worry about their health. Soft drinks are well known to contain high amounts of added sugar, but even some unsuspecting foods can be amongst the worst offenders: soups, sauces, salad dressings and yogurts are just a few examples of foods that are secretly loaded with added sugar. The trend is clearly shifting towards healthier, cleaner foods that help us live better and longer. The UK has taken a decisive step in the direction of sugar reduction. Is it time for the US to follow suit? Foods 2.0 began with one father’s desire to decrease his children's sugar intake and replace it with a solution they’d love. Founded in 2015, Southern California-based Foods 2.0 strives to develop “clean label” foods using minimal, non-GMO ingredients with no byproducts or fillers. The company’s mission is to reduce or eliminate added sugar in everyday food items. Its products, Sugar 2.0 and Sugar 2.0 + Probiotics, are currently available in the baking aisle in 2,600 stores across the U.S. 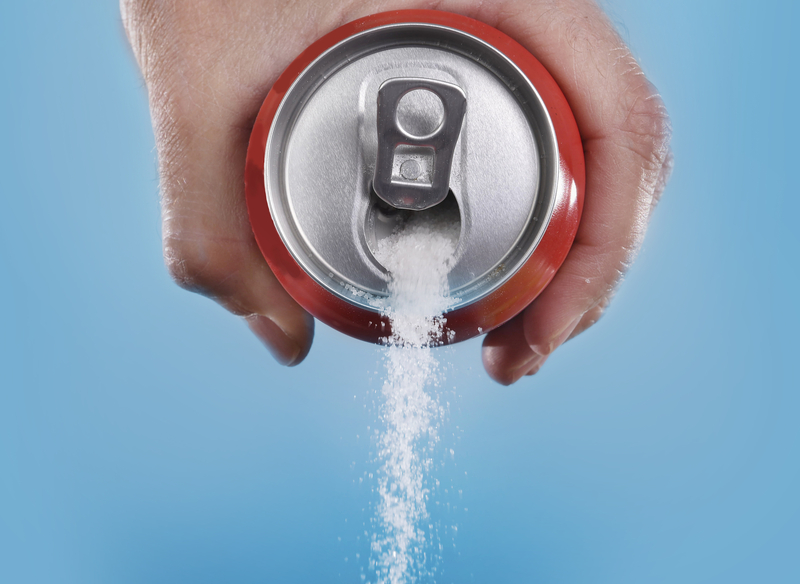 The first Sugar Reduction Summit was held at the Royal Society in the summer of 2014, bringing together retail, industry, public health, policy makers/influencers, academia and health and wellness communities in response to the Scientific Advisory Committee on Nutrition’s draft recommendations to significantly reduce intakes of added sugar in our diets. Now in its fourth year, the Sugar Reduction Summit has earned a reputation for bringing together leading experts from industry, academia, public health and policy to discuss and debate the key issues and obstacles around sugar reduction, to ask uncomfortable questions and to challenge what more can be done. Your soft drink could soon have 50% less sugar.Soft drinks have 38.9 grams of added sugar per serving. 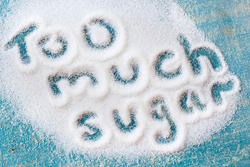 The World Health Organization guideline recommends no more than 25 grams of sugar per day.